April was a month full of YA books. I managed to read 6 books, with 5 of them being YA titles and one being a thriller that didn't thrill me at all. It was a real mix of star ratings, with some being as low as two whilst others were up at 5. I really love the system that I am using to track my reading, it means that I can see where I need to challenge myself and what my go to favourites are. I also find that I read a large portion of advance proof copies, so by tracking the books I can easily recommend them when they are released at work. 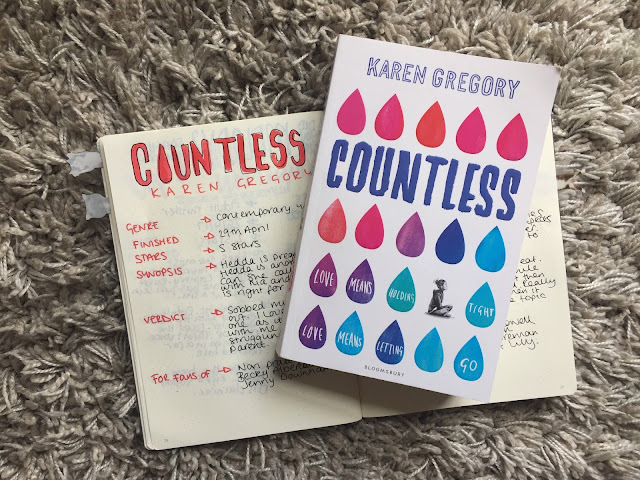 This month my favourite book was Countless by Karen Gregory. A debut YA novel that has just hit the shelves. It tells the story of a young girl that is not only in the depths of anorexic recovery, but also pregnant. I seem to gravitate towards books about teen pregnancy as I want to see if they glamorise or represent young mums in a positive way. "When Hedda discovers she is pregnant, she doesn’t believe she could ever look after a baby. The numbers just don’t add up. She is young, and still in the grip of an eating disorder that controls every aspect of how she goes about her daily life. She’s even given her eating disorder a name – Nia. But as the days tick by, Hedda comes to a decision: she and Nia will call a truce, just until the baby is born. 17 weeks, 119 days, 357 meals. She can do it, if she takes it one day at a time … "
I loved this book. I read it in about two sittings and couldn't put it down. 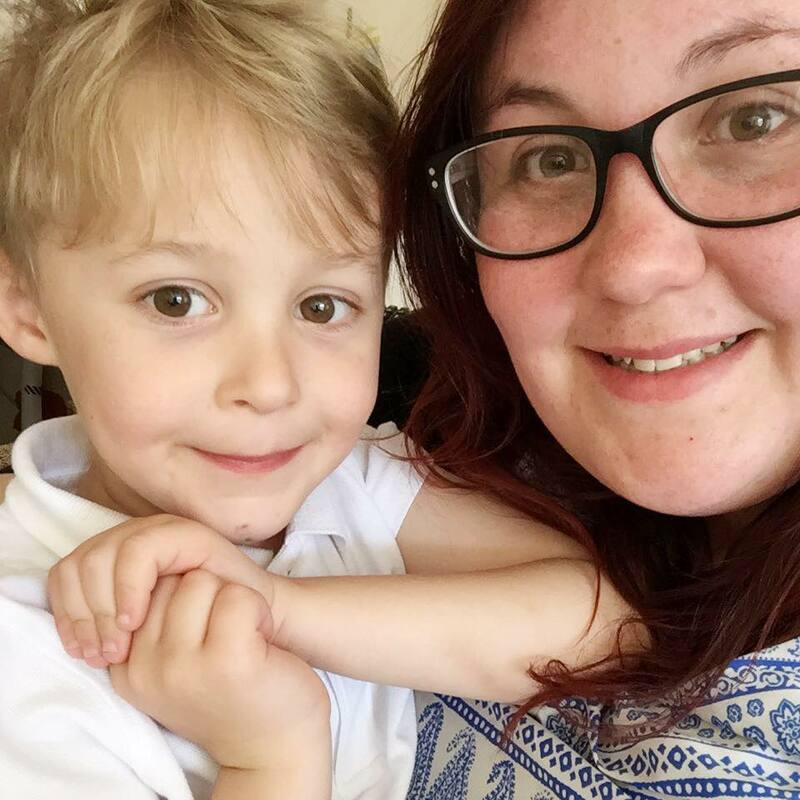 As a young mum I really struggled with finding who I was after having Max and was grateful that Hedda's experience as a mum wasn't sugar coated in the slightest. I found it really heart breaking at times as it was so raw and real in it's portrayal of someone with an eating disorder. It also looks at the bigger picture and how social stigmas and family relationships can be affected by things such as pregnancy, mental illness and eating disorders. It was uncomfortable at times but I understood that for her to succeed she also needed to fail. Where some books about subjects such as these can fail, is when it comes to romanticising disorders and illnesses. Thankfully this was educational, insightful and all to real. Gregory herself speaks at the end about how she used her own experiences of anorexia to build her character profile and I'm so thankful that she didn't beat around the bush and faced the topics head on. Honestly I loved reading this book. 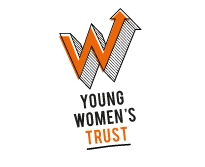 I took away the comfort that I too struggled as a mum in the beginning, I dealt with discrimination and came out the other end of it with support. I spent the whole book rooting for Hedda, knowing that she could do it. She just needed to believe that she could.